The hugely successful chart topping ‘Gangnam Style’ song by Korean rapper Psy has taken off in a big way – spurring British Airways to launch a new route from London to Seoul. The popular dance track ‘Gangnam Style’ has become a global phenomenon, setting the record as the most viewed video on Youtube of all time. With 830 million hits and counting, the video (which pokes fun at the wealthy in the affluent suburb of Seoul) has overtaken Justin’s Bieber 2010’s hit ‘Baby’ which has more than 803 million views. A range of highly public figures have got on board and performed the ‘horse riding’ dance including UN secretary-general Ban Ki-moon and Britney Spears. Even US President Barak Obama has promised to perform the dance for his wife Michelle at the White House. BA is taking advantage of the world’s new found attention on Korea by launching a new route flying to Seoul from Heathrow from Sunday (2 December). Flights will run six times a week to the Korean capital with the four-class Boeing 777. Flights have been timed in order to allow convenient connections to BA’s domestic and European short-haul network to and from Heathrow. 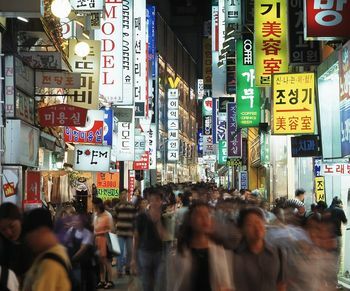 Chief executive Keith Williams said: “When we decided to launch Seoul, we were basing it on the strong demand from business travellers in both directions given the city’s strong economic base. Return prices start from £650 including taxes, fees and charges. The airline is using slots at the London hub granted by parent company IAG through its takeover of BMI to launch the new long-haul route. Those travelling overseas might wish to take out travel insurance before they leave, for peace of mind.